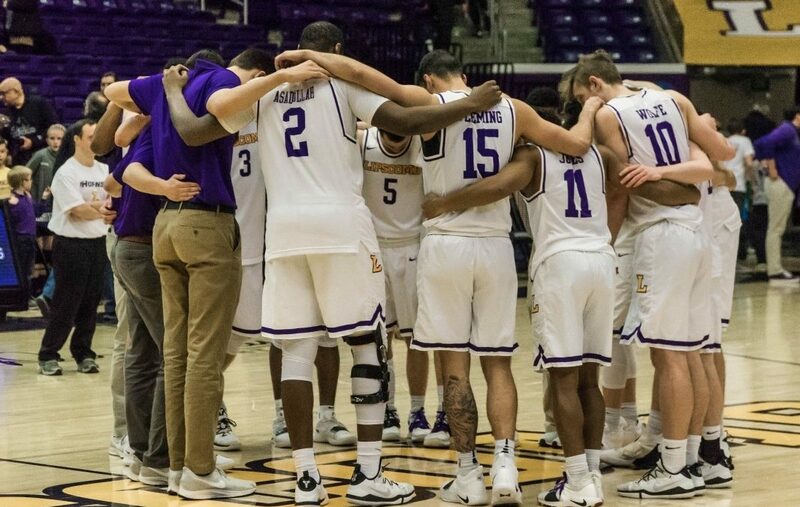 After being left out of the NCAA tournament, the Lipscomb men’s basketball team learned its postseason fate Sunday night. No. 5 Lipscomb will travel to No. 4 Davidson on Tuesday. Tipoff time is set for 6 p.m. CT at John M. Belk Arena. The winner will play the victor of UNC Greensboro-Campbell on either March 21 or 25. The announcement was made during the NIT Selection Show on ESPNU. It’s Lipscomb’s second NIT appearance. The Bisons lost to UTEP 85-66 in the first round of the 2006 NIT. Lipscomb (25-7) earned an automatic bid to the NIT by being the co-champion of the ASUN in the regular season. Liberty earned the league’s automatic bid to the Big Dance by handing the Bisons a 74-68 defeat in last Sunday’s ASUN championship game. Davidson finished the regular season 24-9 overall and 14-4 in the Atlantic 10. The Wildcats are currently No. 75 in the NET rankings, while the Bisons are No. 49. Eventual champion Saint Louis knocked Davidson out of the A-10 tournament with a resounding 67-44 victory on Saturday in Brooklyn, New York. Lipscomb Athletics did not apply to host NIT first or second round games due to the school’s spring break and a possible venue conflict in Allen Arena. Due to their No. 5 seed, the Bisons are likely to play on the road for the entirety of their NIT run. Tickets for Tuesday’s game are available through Davidson’s official website. Lumination will be sending a coverage team to Davidson. Stay tuned for more NIT updates.